(CN) – As election officials continue to count vote-by-mail ballots trickling into registrar offices up and down California, some of the most competitive races have been decided while several still hang in the balance. But one thing is clear: the blue wave seen in the Northeast all but evaporated in the West. Of the seven congressional districts held by a Republican but carried by Hillary Clinton in 2016, three appear to be leaning toward Democratic candidates. Republicans look like they have managed to hold onto three seats, while the seventh remains a true toss-up. Since voters need only have their ballots postmarked by Election Day, the votes are still coming in and tabulations change hourly. The fact that Democrats have won traditionally Republican districts and made the other races so close demonstrates they have traded in on President Donald Trump’s deep unpopularity in the Golden State. But the blue wave some predicted would inundate Southern California with a full slate of progressive representation failed to wholly materialize. Orange County has long operated as the de facto capital for traditional conservatives in California – a bastion for the business-friendly establishment of the Republican party. But a deep dissatisfaction with Trump and changing demographics mean Democrats have finally made significant inroads into the territory. Here is a run-down of each of the seven competitive races, as well as one race in which the Republican incumbent faces a criminal trial on a slew of campaign finance-related charges. CA-10 encompasses all of Stanislaus County and part of San Joaquin County in California’s agriculture-rich Central Valley. 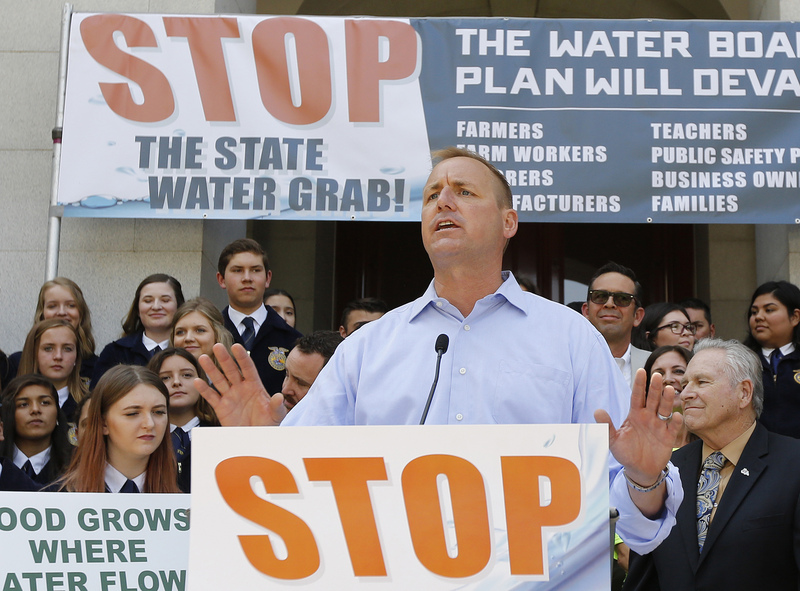 While rural California has historically been a Republican stronghold, Clinton carried this district by three points in 2016 and Republican Jeff Denham narrowly held onto his U.S. House seat. The latest results on Thursday have Denham leading Democrat Josh Harder by about 1,300 votes, but with tens of thousands of ballots left to count the race is still too close to call. Also in the Central Valley and dominated by agriculture, District 21 spans Fresno, Kern, Kings and Tulare counties and is a seat Democrats had hoped to steal. But Republican David Valadao is projected to keep his seat, beating T.J. Cox who tried to portray Valadao as a rubber stamp for Trump’s agenda. However, Valadao has separated himself from some of his more hardline colleague when it comes to immigration. The son of immigrants, he supported a “responsible” pathway to citizenship for some immigrants. He earned 36,101 votes as of Thursday, while Cox managed 30,989 votes. 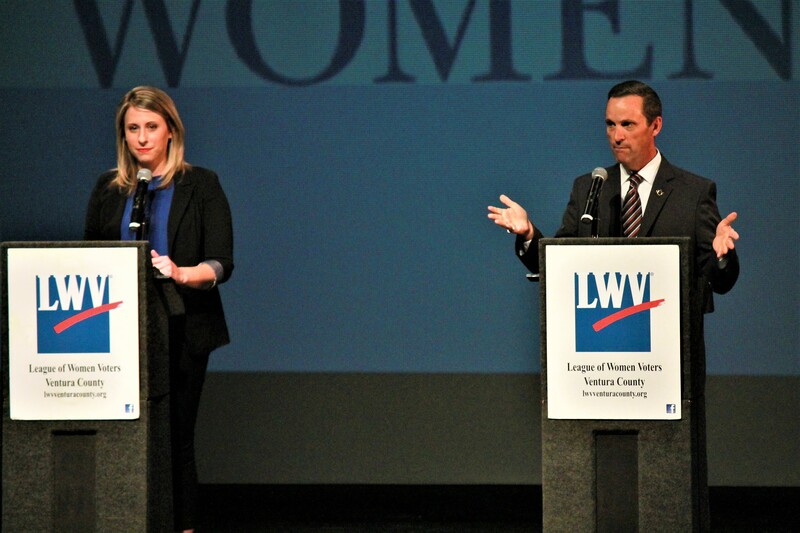 The district encompassing parts of Los Angeles and Ventura counties has long been eyed by Democrats, particularly as incumbent Republican Steve Knight barely held onto his House seat in 2016 and Clinton carried the district by seven points. This time around it appears Katie Hill, a first-time Democratic candidate, will head to Washington to represent the district. Knight has already conceded, making Hill, a 31-year-old former nonprofit director, one of the youngest members of the new Congress. Hill garnered 83,662 votes to Knight’s 79,545. Spanning Los Angeles, Orange and San Bernardino counties, District 39 was thought to be a potential shoe-in for Democrats – but it looks like those prognostications were premature. Young Kim, a Korean immigrant, is projected to keep the seat red following the retirement of longtime Congressman Ed Royce. Pitney said a more diverse GOP as embodied by Kim offers the party some hope of survival in a state that is increasingly disenchanted with Trump. Kim fended off a challenge from Democrat Gil Cisneros, a former Navy veteran who won the lottery, 51-49 percent. In the heart of Orange County, District 45 represented a prize for Democrats. As of Thursday, though, their hopes are waning but the race remains a toss-up with Republican Mimi Walters maintaining a slim advantage over Democrat Katie Porter. Porter, a law professor who backs universal health care and background checks for gun purchasers, tried to paint her opponent as a Trump acolyte. Even if the district stays red, the slim margin – as of Thursday, 52-48 – demonstrates Democratic gains in Orange County. “This is election is much closer than results produced in the past,” Pitney said. Walters won the seat by 17 points in 2016. Another district entirely within Orange County, CA-48 remains too close to call although the Democrat appears to have the edge. Republican incumbent Dana Rohrabacher, whose name came up during the investigation of Russian meddling in 2016, is behind and losing ground to Democratic challenger Harley Rouda. While Rohrabacher denied any wrongdoing, Rouda used the incumbent’s ties to Trump and Russia for fodder on the campaign trail. Rouda current leads with 94,835 votes to Rohrabacher’s 91,233. The district formerly represented by Republican Darrell Issa encompasses San Diego and Orange counties and was once a stronghold for the GOP. Those days are over, as Democrat Mike Levin prevailed over Republican Diane Harkey following Issa’s retirement. The coastal district is one that has grown more diverse in recent years, allowing the Democratic Party to make inroads. Levin earned 95,138 votes while Harkey managed 82,648 votes. 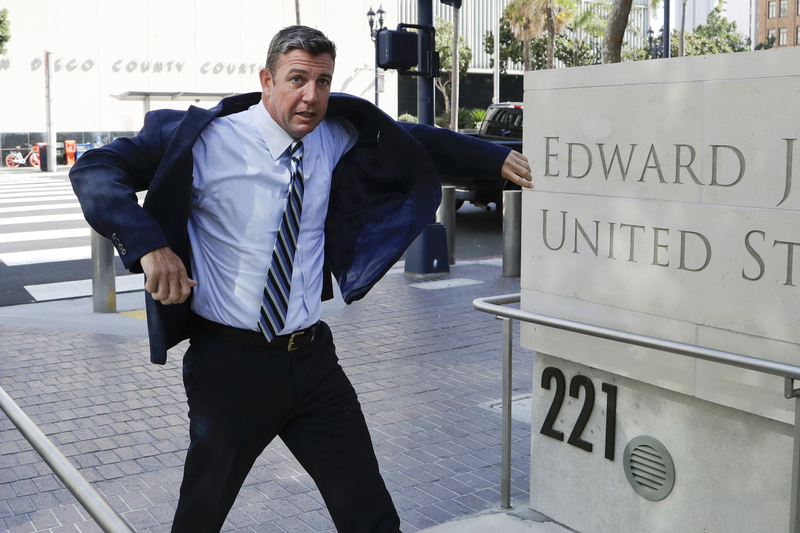 If one needed any proof that the district located in San Diego County and a sliver of Riverside County was and remains a strong Republican territory, one need only look to Tuesday’s midterm: Incumbent Duncan Hunter won handily despite dozens of federal charges accusing him of using $250,000 in campaign funds for personal vacations and everyday life. Hunter garnered 82,379 votes while his Democratic opponent Ammar Campa-Najjar, a first-time 29-year-old candidate and former Obama administration staffer, received 69,244. Hunter stoked racial animus using Campa-Najjar’s Palestinian heritage to insinuate he was a terrorist sympathizer. In fact, Campa-Najjar is also half Mexican and identifies as Christian. “That district remains heavily Republican and Hunter was able to use ethnic prejudice effectively,” Pitney said.